Landscaping can ramp up your curb appeal and feed your gardener’s spirit. Did you also know that the right plants in the right locations can help protect and cool your home naturally while safeguarding wildlife in your area? Trees, shrubs and even grasses aren’t just for decoration. They help control soil erosion year round. Strategically chosen and planted, they can also reduce and enhance the season, whether you want more sunlight in winter, fewer UV rays in summer or less wind in the spring. Working with, not against, nature helps you live in harmony with the environment. 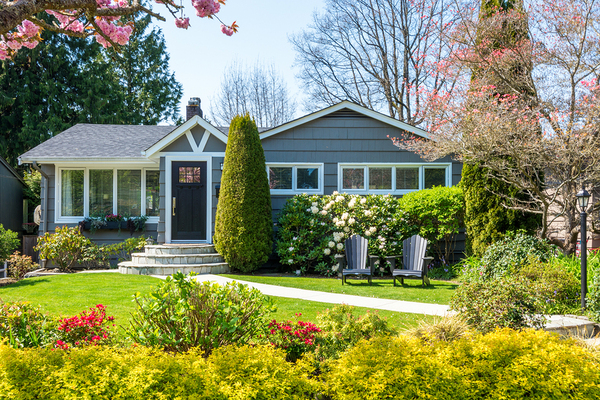 Here are 3 ways you can create a landscaping plan that looks as good as it performs. Deciduous trees—the kind that lose their leaves in winter—help cool or warm your home depending on the season. The Department of Energy recommends maples and other varieties that spread into a wide canopy for lots of shade when planted on the south side of your home. In winter, the same trees shed their leaves and let winter sun pass through the bare branches. That lets you take advantage of passive solar heat gain when you need it. Give deciduous trees plenty of room to grow to protect your home’s foundation. The Green Infrastructure blog, DeepRoot, says you can’t gauge the root spread by the spread of the treetop. Roots might be smaller than the canopy, but they might also grow across your yard and into the foundation. If your home has a slope, erosion is probably an issue. There are plenty of mechanical erosion-control devices, such as retaining walls, but native plants do a great job. Do your homework on deep-rooting plants that are native to your area. Native plants have more benefits besides erosion control. This video explains why it’s so important to use specimens that are native to your area. Non-native plants have a far-reaching negative effect that can kill off native varieties, harm local insects and animals, and even reduce the volume and quality of locally grown produce that you might love. Forester, Elliott Menashe of Greenbelt Consulting, tells the Seattle Times that shallow-rooting plants such as running bamboo can drain the soil’s water while providing no erosion control. If wind is a problem where you live, you need dense evergreen shrubs and trees. Evergreens don’t have a bare season. Planted between your home and the prevailing winds, they serve as a living wall of protection against gusts that can damage roofs and siding. They also protect against heavy, blowing rains. Many evergreens grow slowly but develop into enormous trees. Research the variety to plant the right trees in the right location. A row of small bald cypress trees planted a few feet from your house might look nice for about 5 years. In 10 years, crowding will become an issue and their roots might threaten your home’s foundation. Plenty of homeowners consider landscaping as one more way to dress up the exterior. There’s nothing wrong with beautiful property, but don’t forget about function. Trees, grasses, and shrubs can block the intense sun in summer and keep your cooling bills lower. They can also let sunlight through when you need it most in winter. If you need a windbreak, landscaping can help with that, too. Planting the right varieties benefits the environment in numerous ways. Are you buying a new home and looking for a certified home inspector? You’ve come to the right place. Hire an Inspector has a network of professionals across the country. 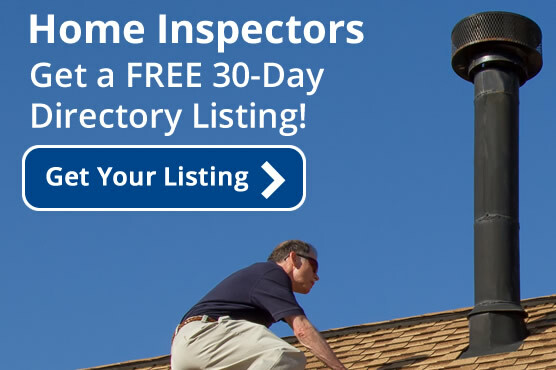 Let us do the legwork and find a home inspector near you.